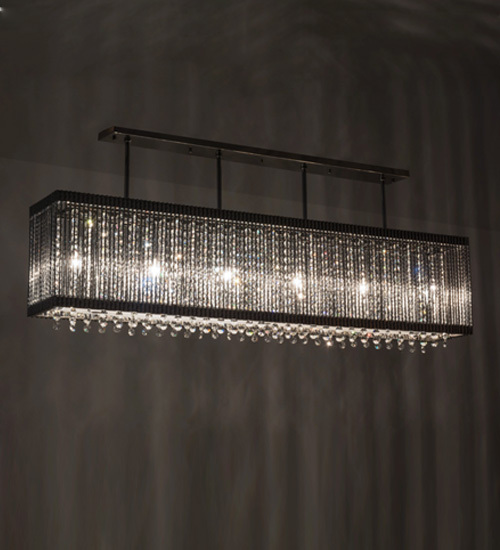 Description: Evoking a look of luxury and sophistication for your decor, crystal elegance comes to light with the Quadrato Graz design. 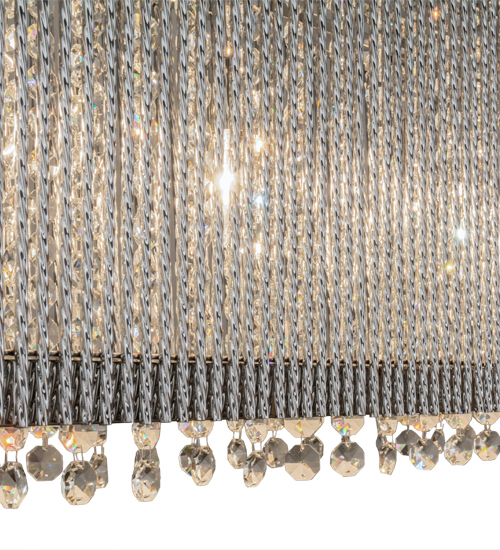 This exquisite oblong pendant features a waterfall array of crystal and Chrome Plated steel strands which are adorned with faceted crystal drops on the bottom. The lovely shade is complemented with a frame and hardware featured in a Chrome Plated finish. The fixture is ideal for illuminating billiard and dining tables, islands, counters and bars. A minimum order of 50 pieces is required. Handmade in the USA, this pendant is available in custom sizes, styles and colors, as well as dimmable energy efficient lamping options such as LED. The fixture is UL and cUL listed for damp and dry locations.